SETTLEMENT: Plaintiff fell from scaffolding while on the job. We settled a traumatic brain injury lawsuit for $2.7 million in a case arising out of a 2013 fall on a construction site in Orange County. Our client and a co-worker were in the process of installing bracket scaffolding at a house under construction. Bracket scaffolding is mounted on the side of a building under construction, rather than being built from the ground up like traditional scaffolding. 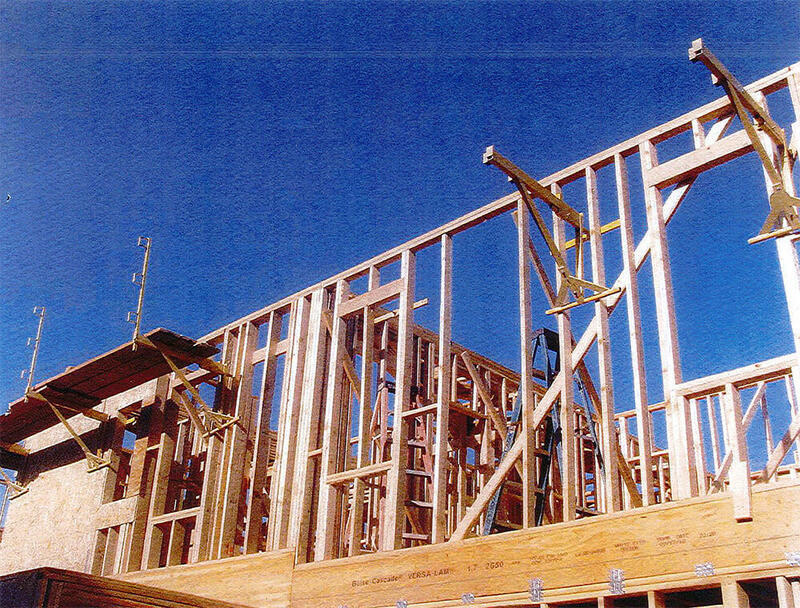 Multiple brackets are attached to the framing of the building, and then wooden planks are laid atop the brackets to form a scaffolding system. Unfortunately, this particular bracket scaffolding system (the “Whalen-Jack”) had a number of design and manufacturing issues. It was designed by a contractor with no engineering credentials and was supported by two welds, with no redundancy or backup margin of safety. The manufacturing was outsourced to a facility in China, and evidence showed that the quality of the welding was extremely poor. Eventually, the design of the product was changed to provide some redundancy in case the critical welds failed. However, none of the old Whalen-Jacks were recalled, and, in fact, old units that was still sitting in warehouses continued to be sold, including the one involved in our client’s incident. Perhaps not surprisingly, it turned out that the company that marketed and sold the Whalen-Jack had no applicable insurance. We had also named as a defendant the distributor of the product, a large and well-known construction supply company called White Cap. Under strict liability principles, the distributor is liable for selling a defective product, even if it played no role in the design or manufacture of the product. However, we also pursued a negligence theory based on the argument that White Cap failed to perform any due diligence concerning the safety of the Whalen-Jack before agreeing to sell the product. The biggest fight in the case was over damages. It was unclear if the plaintiff lost consciousness from the fall, and he had a near-normal Glasgow Coma score of 14 (out of 15). A CT scan performed in the hospital was normal. Subsequent neuro-psychological testing was mostly normal. He was discharged from the hospital after just six days and then transferred to a rehab facility for another six days. However, soon after the plaintiff returned home, his wife noticed that he was acting strangely. He was given to extreme fits of anger and destructive behavior and did not want to leave the house or socialize. He also showed some problems with memory and concentration. At first, she chalked these symptoms up to his recovery from his physical injuries (a fractured foot and jaw). Eventually, however, the workers’ comp case manager intervened and arranged for the plaintiff to enter an outpatient brain injury rehabilitation program, where he was diagnosed with a mild traumatic brain injury. The challenge in the lawsuit became how to show the full extent of the harm that the plaintiff’s injury was causing to himself and his family. Despite the negative test results, his wife described him as a fundamentally changed man whose behavior was often out of control. The effects on his family were profound, but very difficult to prove. To say that defense counsel took a scorched earth approach to the case is an understatement. They took over 50 depositions, not including experts, and the majority of those were of various healthcare providers. When defense counsel learned that the plaintiff had been convicted of possession of methamphetamine about 18 months before the incident, this became the centerpiece of their damages case. According to the defense, the plaintiff’s brain injury symptoms, if they were real at all and not the result of malingering, were related not to the fact that he fell 20 feet and hit his head, but rather to his pre-incident drug use. The defense psychiatrist went so far as to speculate that the plaintiff was still using meth to this day, even though he had successfully completed a rehab program after his arrest and there was no evidence of any subsequent use. Eventually, after a huge amount of expense and effort, we were able to negotiate a settlement for the plaintiff and his wife that provides them with a measure of financial security for the rest of their lives. The settlement also allows the plaintiff to keep most of his workers’ comp benefits, including payment of all of his medical care through the workers’ comp system. If you or a loved one have sustained a traumatic brain injury and need legal representation to recover the money you need to recover and rebuild, please submit a free case evaluation via the form below.